There’s a sudden commotion in the cave. A monkey has snuck in and is scurrying across the rock floor to the corner where the large Buddha sits. The monkey makes a grab at a bit of food that’s been left on the altar as an offering. Before it can make off with the loot, a woman nearby spots the furry thief and throws a water bottle at it. “Ai ai ai ai,” accompanies the lob as the woman screams. The monkey drops the food and races from the cave toward the light coming down the staircase. 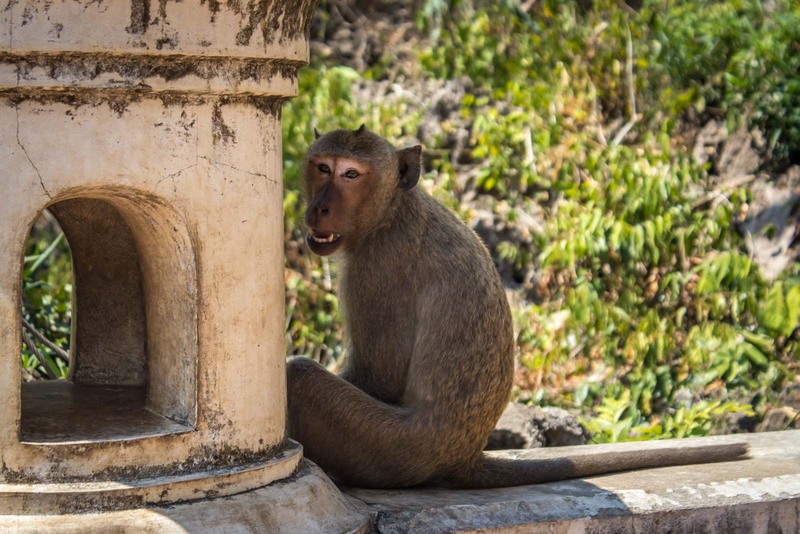 The monkeys are one of the hazards of visiting the Khao Luang Cave in the Thai city of Phetchaburi. As you approach the entrance – up a hill, across a carpark, along a path, and down some stairs – hundreds of monkeys watch you expectantly. Visitors are one of the best sources of food and the animals are looking for any sign that you might have something edible that can be easily grabbed with a combination of stealth and cheekiness. But once inside the cave, you’re safe from the furry marauders. This is a sanctuary that the animals respect (and have been frightened away from). 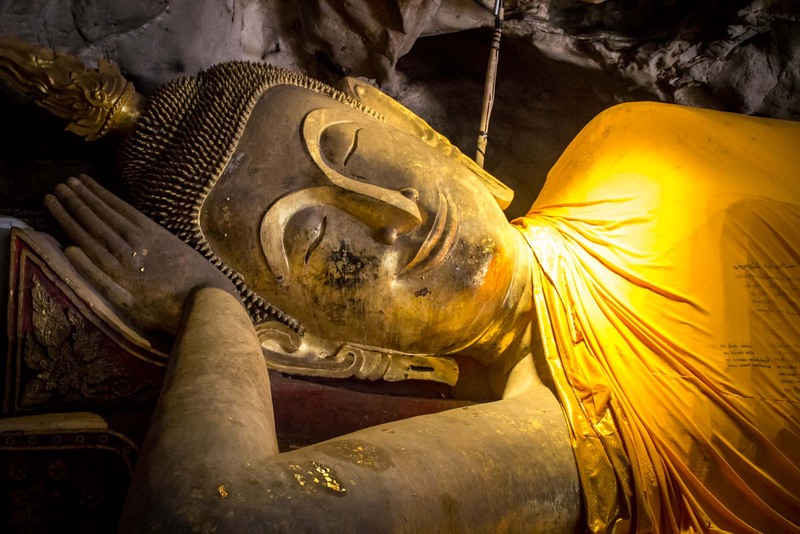 The Khao Luang Cave is a spiritual place, a calm asylum, an opportunity for the locals to connect with a higher being. 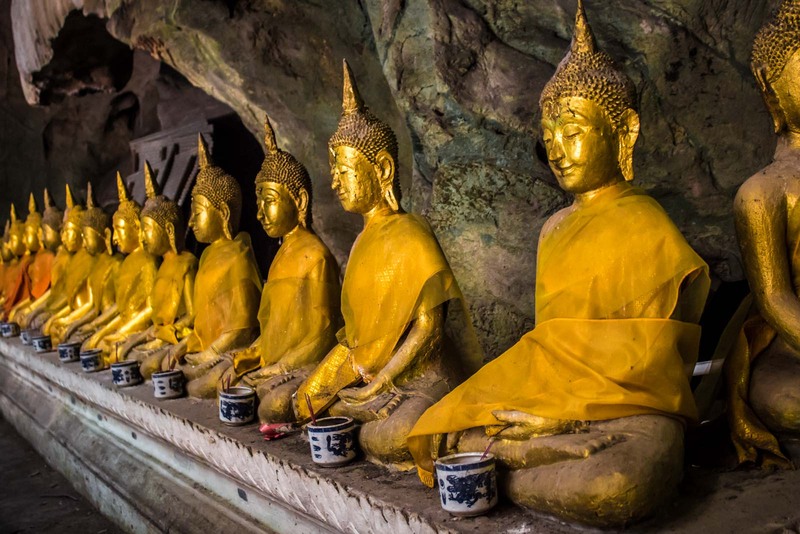 The cave complex is filled with Buddha statues of different sizes and in different positions. Some were laid by King Rama IV, the ruler of Siam (now Thailand) between 1851 and 1868. As you walk in, the first statue that catches your eye is the large gold Buddha where the monkey had launched its earlier stealth attack. A group of about three women is tending to the altar in front of it, keeping things clean and selling offerings to the families and couples who are visiting. Along the other walls are rows of smaller statues. Some are dressed in orange robes with small bowls of incense placed in front. 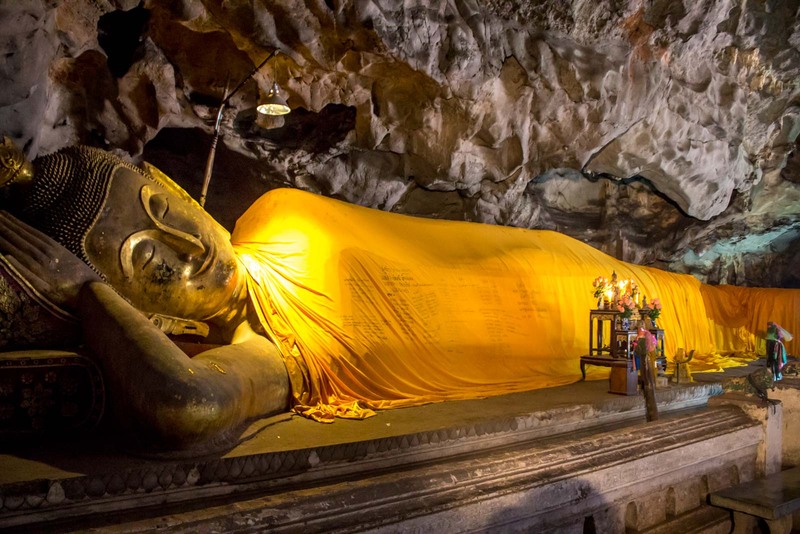 On the opposite side of the cave from the main altar, another Buddha (again gold) reclines in a robe. The highlight of the cave, though, the feature which takes it from beautiful to spectacular, is the large hole in the roof which allows the sun to stream through. The rays light up a circle on the ground and create a glow across the whole space. The smoke of the incense, floating in the still air, looks caught in the light like moths in a lantern. It’s as though some supernatural force is forming a futuristic teleporter up into the heavens along this luminous beam. Perhaps that force is the large gold Buddha which sits just behind the glow and looks on with a knowing and comfortable smile. Phetchaburi itself, as a town, is not one of the most popular tourist locations in Thailand. Although it’s only a couple of hours south of Bangkok, it’s close enough to similar towns which are on the beach and attract the crowds. 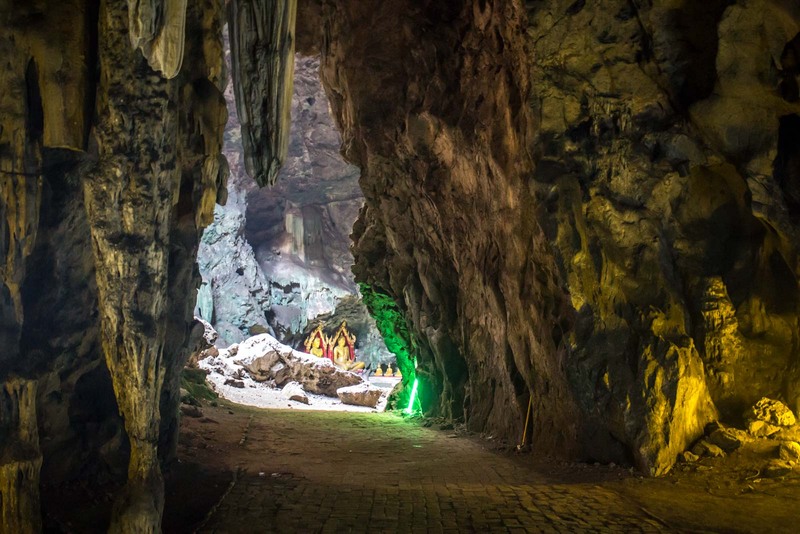 But it is somewhere worth stopping for a day or a night – if only to see the Khao Luang Cave. There aren’t many places like this in the country and this is the most dramatic example you will see. Funny title. Specially now that Star Trek is in the cinemas again. I’ve seen a lot of Buddha statues but this smiling one looks different than the rest. Nice pictures and it always amazes me how animals like monkeys seem to understand how “sacred” a place is so they stay well away from it. Interested in how that works. I went to this place once while living in Bangkok on a whim. I had seen a blog post about it and thought it was cool, so I took a train from BKK to there, then from there I continued south. I only stayed a day and visited just the cave and temple. I liked the temple better for some reason but would like to revisit the place again some day for better photos. Nice shots though and glad you took the time to stop and check it out (as most don’t). 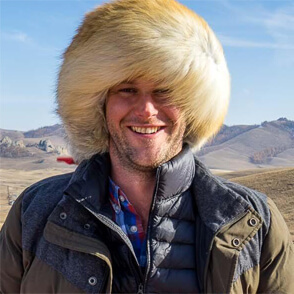 I thought the people in this town were really friendly compared to others I had been. It’s an easy enough place to visit for a day – either just popping down from Bangkok or on the way down south. I think it’s worth the effort if you’ve got time. It’s a slightly different look of Thailand than you get at the beach resorts down in this part of the country. 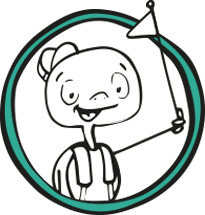 The monkey may be cheeky and a thief but still would love to met him in real life! You wouldn’t want to meet him if you were carrying some food. They’re not particularly shy when it comes to jumping on you and grabbing stuff! The rays in the first shot are amazing. And something about the smiling, resting Buddha is always reminiscent of what the belief system is all about….peace, love, and just taking things one day at a time. The only way to roll! Exactly. 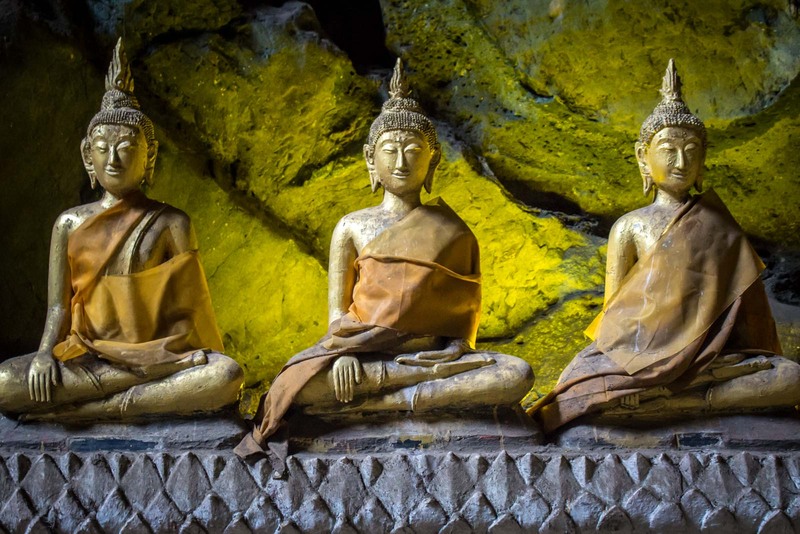 The whole cave seemed to sit really well with the Buddhist ideals. Looks like an interesting place. That monkey looks sketchy… look at those teeth! Yeah, I didn’t like the monkeys. They weren’t the cute ones… they were the ones that were clearly plotting to attack you for your food! I am scared of baboons or anything that looks like a baboon. That one in the photo seems like has devil horns. Stay away from this one! Definitely stay away from this one! Any monkey that’s going to steal from an altar is bad news! 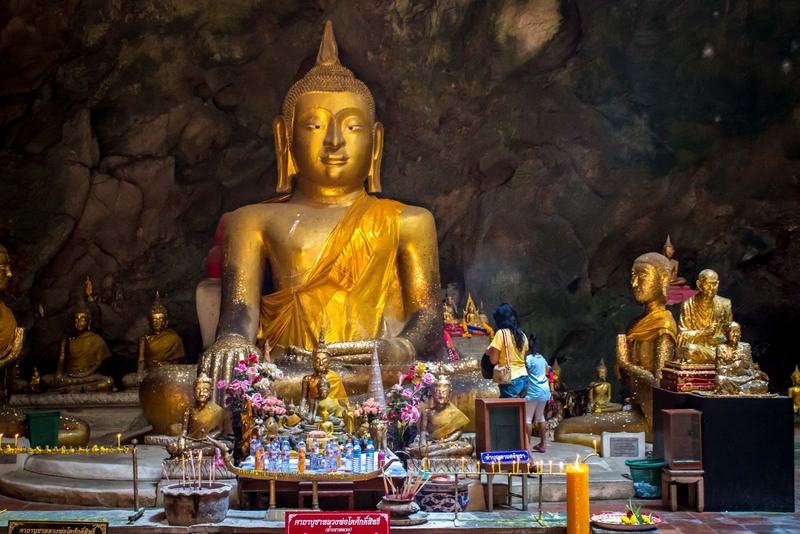 this is new to me, never been to a cave with buddhas!! I always like going to temples with lines of buddhas. This goes to my To-Go list when we go back to Thailand! I didn’t like the monkeys – that one especially! But the cave is definitely worth it! 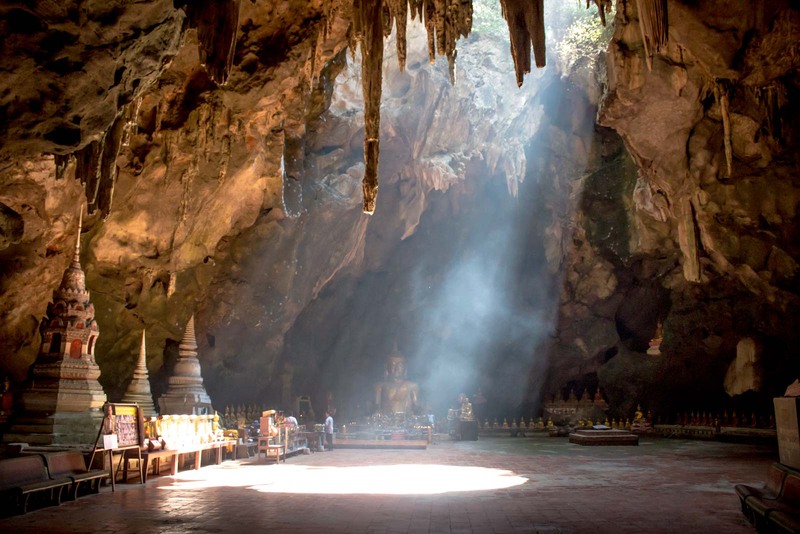 Reminds me of Tham Phraya Nakhon Cave, there is a sala there which was used by Rama V. If you go at the right time of day the sala is lit by a shaft of sunlight from the hole in the ceiling. Hey, that’s an interesting place. A temple inside a cave. Looks very interesting to me. Thanks for this post ! Thanks very much – appreciate your support! I haven’t been to Thailand yet! Khao Luang Caves will be first on my list since it also sounds easy to get to. Not particularly fond of the monkeys, have to put on my ‘show no fear ‘ face. I’m sure the caves are worth it though. Great photos. Wow such amazing buddhist site exist too. The images you shared are amzing. Some of the buddha statues seems like they are made up of gold. As you mentioned the light produced by the sunlight within the hole of the cave is spectacular. Wish I could visit this place too. 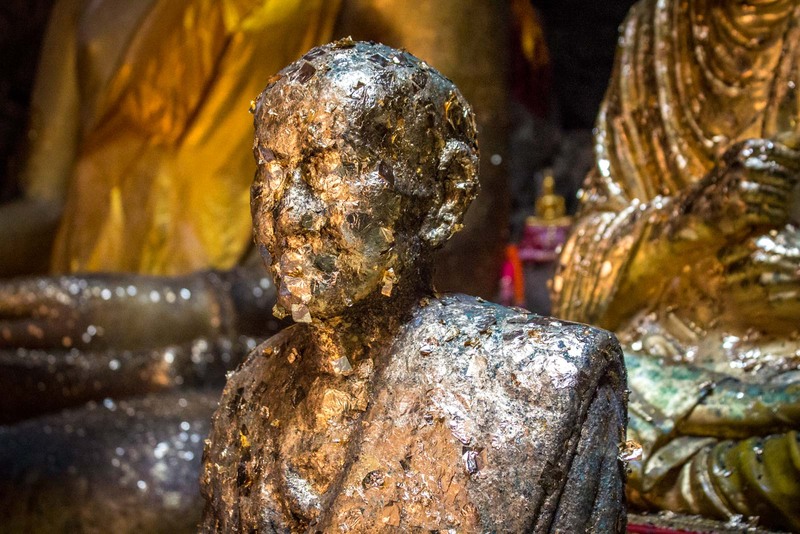 I doubt there is much actual gold in the caves these days, but that’s certainly the aim in some parts – to give off the impression that there is an opulent golden glow to it all. It’s a beautiful place and I hope you get there one day. I’ve been to that cave a couple of times, it’s just as good being there each time. And the monkeys are dangerous, they will grab anything you have. Keep away from them.